POMONA, Calif., February 22, 2018 – Traveler’s Choice, manufacturer and distributor of fine quality travel goods, and Airstream Inc., manufacturer of the iconic “silver bullet” travel trailer, have partnered for a new line of licensed Airstream riveted luggage. The partnership allows both companies to create a new means of interacting with the adventurer’s experience. 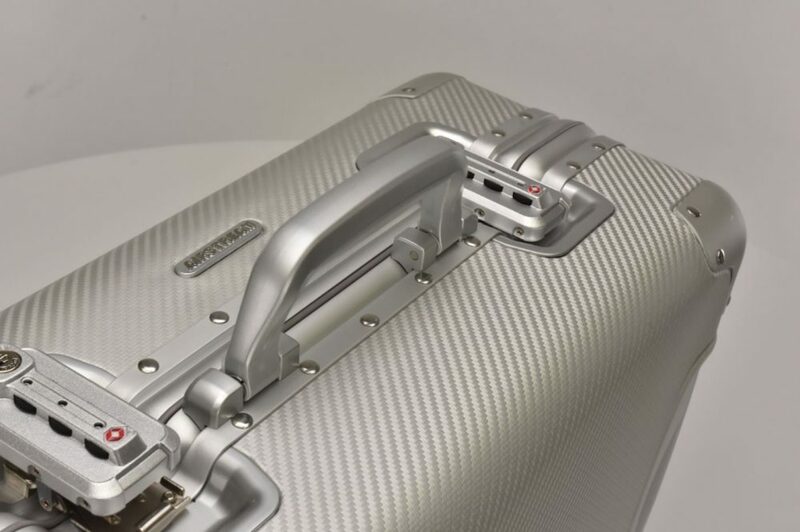 Priced at approximately $300, the Traveler’s Choice Airstream Travelware is available in durable polycarbonate hardshell materials with a brushed aluminum textured finish to match Airstream’s classic style. Options include the ability for owners to customize their luggage with photos from their Airstream adventures. The luggage will be available through Airstream dealerships, e-commerce sites and all Traveler’s Choice retail channels. The Traveler’s Choice Airstream luggage options provide a fun, new way of taking part in the iconic Americana image associated with the Airstream brand. Adventurers can enjoy traveling to all corners of the world, while keeping a piece of the Airstream experience with them wherever they go. This partnership was conceived and executed by David Howitt (CEO) and Jenson Tuomi (Associate) of the Meriwether Group, a firm dedicated to accelerating strategy and outcomes for extension, licensing, distribution, and mergers and acquisitions. Since 1984, Traveler’s Choice Travelware has been recognized globally for its dedication to quality and commitment to excellence. Traveler’s Choice prides itself on manufacturing and distributing only the finest quality travel goods for the retail and wholesale markets. They make every effort to provide a unique, modern, and practical case or bag specifically designed for today’s traveler. Therefore, Traveler’s Choice has achieved and maintained an exemplary record as one of the leading suppliers of quality luggage in the industry.